The Volunteer by Salvatore Scibona is a generational saga, spanning about 100 years in which the effects of the Vietnam War are felt. Mr. Scibona is an award winning American author and writer of short stories. 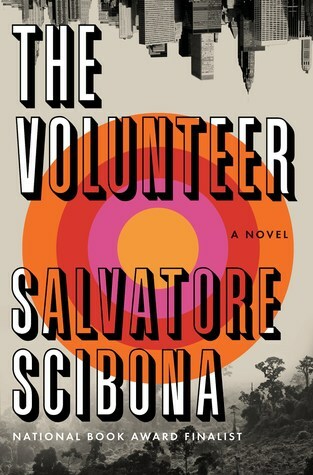 The Volunteer by Salvatore Scibona is a man’s novel. A book about men, the intimate relationships of one to himself, fathers and sons and how the traumatic effects of one generation affect the next, and even the one after that. This is a sprawling story, which moves through geography, culture, and time in a deliberate, yet non-linear manner. The author allows us to see how men see themselves, and how the mind works allowing the characters to wander outside of themselves into places which do not exist. The theme of disappearing seems to be a constant throughout this novel. Vollie seems to always try to disappear, he runs away to the Marines, shamed by his parents’ illiteracy, disappears from a secret government job, and even his family, but he always finds out, sometimes too late, that his disappearing act was often a decades long illusion. Vollie’s son also try to disappear, or make others disappear without really understanding why. The book seem to ramble on at some parts, soliloquies of the characters thinking, or society’s reflection upon itself. Taken in context though, getting into the mind of a character including the artificial walls he builds around himself, his memories (real or not) as well as dreams creates a confidential relationship between the readers and the characters they are reading about. A young boy is stranded at Hamburg Fuhlsbuettel Airport in 2010. He speaks no German and it seems as if he was abandoned. Vollie Frade, nicknamed “Vollie” because he volunteered for the war instead of being drafted, forges his father’s signature to enlist instead of being drafted. Vollie just wants out of his home in Iowa and maybe even get a sense of who he really is. In Vietnam, Volie meets Lorch, a spy who recruits him for a secret government operation in Queens, NY. Escaping from Lorch’s clutches, Vollie finds himself in New Mexico and in love with Louisa. Vollie also raises Louisa’s son, a violent teen, turned violent man who himself finds a life in the military and keeps on volunteering for tours of duty in the Middle East.